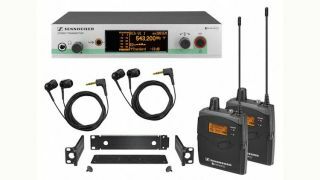 With the forthcoming changes in spectrum allocation in the USA and Canada, Sennheiser is anticipating future customer needs with the release of a new frequency variant of its Evolution Wireless EW 100 G3 and EW 300 IEM G3 series. From July, the wireless microphone and monitoring systems will be available in an A1 variant, which covers the frequency range from 470 to 516MHz. To accommodate the increasing demand for mobile broadband services in North America, the U.S. Federal Communications Commission (FCC) and the Department of Industry of Canada (IC) have agreed on a future reallocation of spectrum in the UHF band. The 600MHz range, which is currently used for TV broadcast and wireless microphones, will be repurposed based on the results of a spectrum auction. Sennheiser has prepared for future spectrum reallocation with the launch of a new frequency variant for two of its most popular wireless series, offering its customers an additional solution today that is ready for the demands of future years. The EW 100 G3 wireless microphone series and the EW 300 IEM G3 wireless monitoring series (all systems and single components) will be produced in an additional A1 frequency variant for operation between 470MHz and 516MHz. “While the process of spectrum reallocation in North America is expected to take several years, including a transitional stage, we are creating these new versions well in advance of the changes to ensure that customers seeking a high-quality wireless solution today can enjoy the brilliant flexibility and features of evolution wireless into the foreseeable future,” said Martin Fischer, product manager for Sennheiser’s Live Performance and Music segment. The EW 100 G3-A1 and EW 300 IEM G3-A1 will become available in the U.S. and Canada from July 2016.